Most everyone has to deal with a big move at some point in their lives. Whether due to family, career, or another life change, there will come a time when you need professional help to ensure that your move goes smoothly. Since 1977, Simonik Moving & Storage has been providing quality moving and storage services to those moving from NJ to Atlanta. 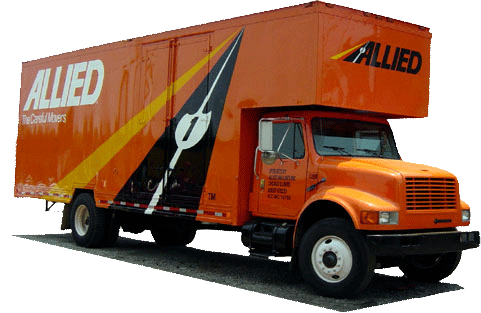 As a BBB accredited business, you can rest assured that you will work with friendly professionals, and as an agent of Allied Van Lines, you know that the experts at Simonik can successfully handle any size household move anywhere in the United states. When it comes to moving, it’s a lot more than just transporting boxes from point A to point B. In order for you to complete your New Jersey to Atlanta move quickly and efficiently, you’ll likely have to consider storing household items. Whether you’re just looking to a keep a few items in storage for a couple of weeks, or many boxes need to be stored for months at a time, we’ll make sure your items are packed securely in international shipping grade containers and stored in our secure warehouse facility until you’re ready to unpack them. The very best movers keep up-to-date on all the latest requirements associated with long distance moves, which is why Simonik is a ProMover member of the American Moving and Storage Association. No matter where you’re moving, you’ll enjoy superior service. Because of this, Simonik is also a former recipient of the ‘Mover of the Year’ award from the New Jersey Warehousemen & Movers Association. Getting started on your next move starts with a free quote. Simply fill out our online quote form or schedule a free, no-obligation, in-home moving estimate and you can rest assured that our NJ to Atlanta moving specialists will take care of you.